This summer we’ll be designing and building the CultureLab, a new space in Manning Hall. Part open storage, part study center, part seminar room, it’s an opportunity to show off the museum’s collections and provide hands-on learning opportunities to students. Still very much a work in progress. 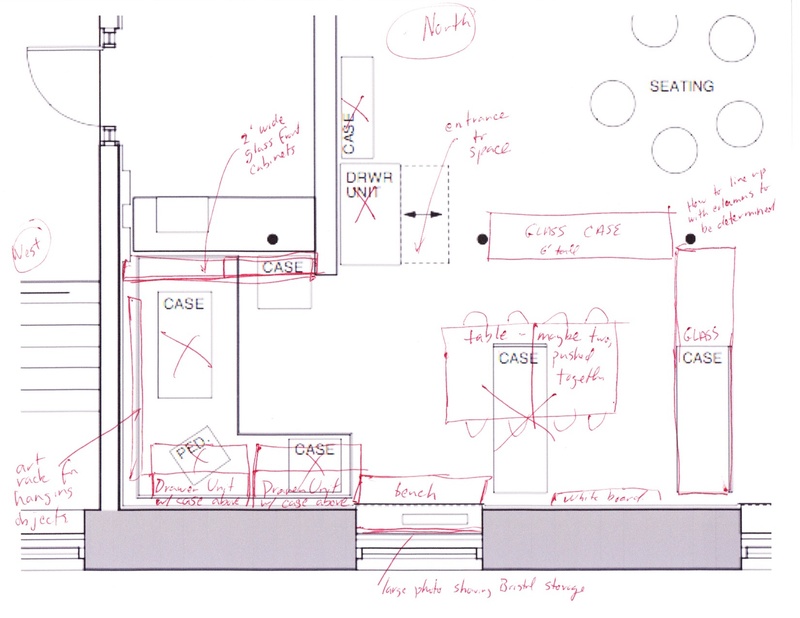 Below, a document describing it, and left, a very rough sketch of a floor plan.